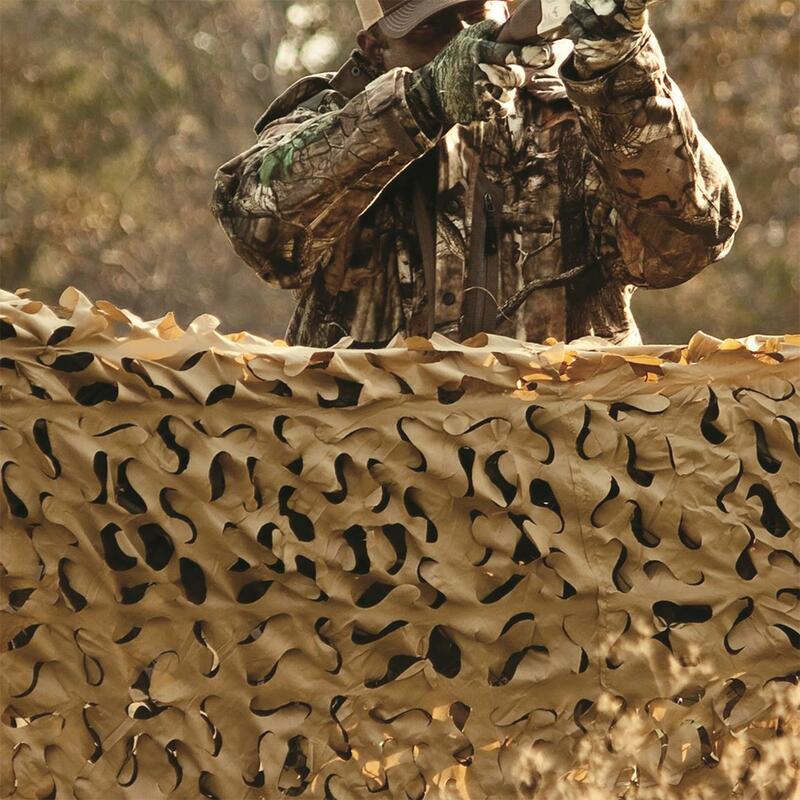 For a blind, your tree stand, your ATV or gear, these Nets perform! 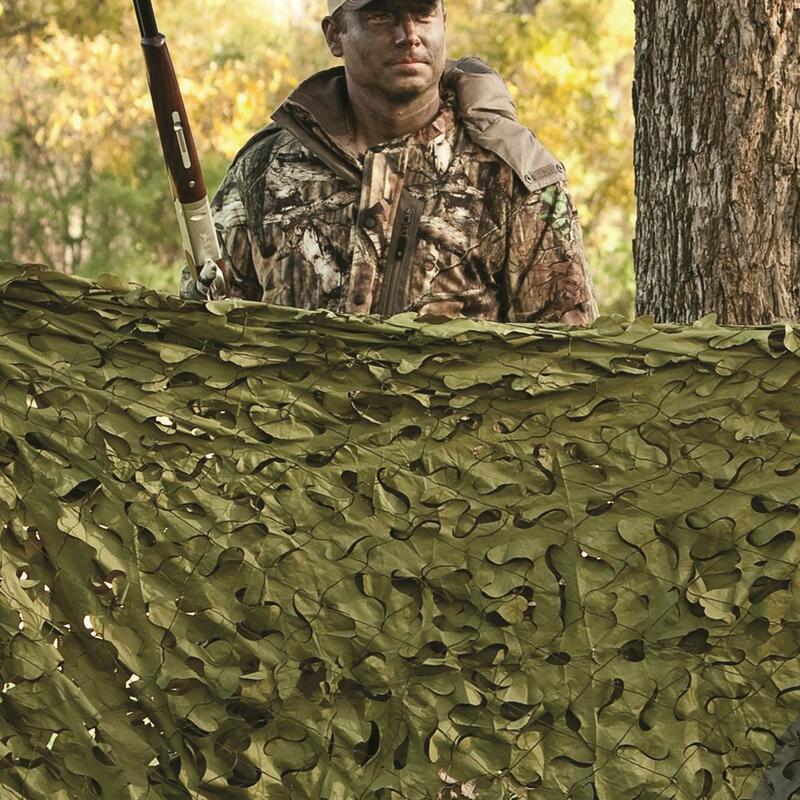 Made with quiet, lightweight, fast-drying leaf-cut material, these are tri-color camo for concealing depth. 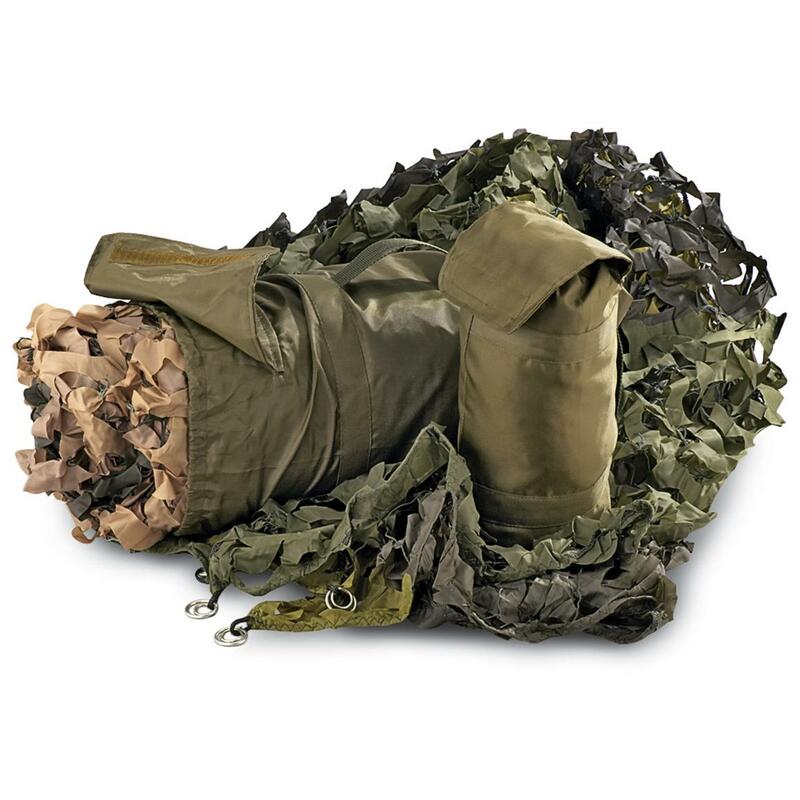 Comes with rugged military-type mesh backing and metal tie-off rings in each corner. Comes with convenient carry bag. 21 oz. in bag. Military Style Camo Net, 8 x 10 is rated 4.6 out of 5 by 45. Rated 5 out of 5 by Kenn from Was a very good product for its price. I purchased this item for use in the back ground on a stage setting . This met my needs very well. It would also be great used as a blind cover. Rated 5 out of 5 by Bob123 from COULDN'T ASK FOR BETTER THIS MATERIAL IS REALLY HEAVY DUTY AND LAST FOREVER, GREAT PRICE ALSO. Rated 4 out of 5 by Doug from On sale, was a great deal! I bought two of these when they were half the listed price. They are well-made and come in a durable protective sack. I believe they will hold up to harsh environmental conditions when deployed. Rated 5 out of 5 by RCC3 from Real Deal. This is the real deal. Just like I used in the Army. Good size, and it packs back up real easy. Rated 5 out of 5 by Bill from Size and utility great Purchased the 8x10 woodland tarp. It is new made by Redrock. Nice material and breakup design. Will work well for smaller concealment purposes. Comes with a stuff sack and packs down to a small size. Easily carried. Rated 5 out of 5 by Ranger Hal from Good product We bought this to cover the chicken yard next to the chicken coop. It provides shade and concealment from Hawks. Our chickens stay in the shade of the netting most of the day when it's really hot. Great price too.